Wilanów is a south district of Warsaw. If you enter the city down the road no 724 from Konstancin-Jeziorna, it is enough to follow the main road and direct to the center. At the place where the Pczyczółkowa Street intersects with the Wilanowska Avenue, on the right side of the road 724 there is a palace. Construction of a private mansion in Wilanów Jan III Sobieski started in 1677. Initially the village was named Milanów, then it was changed into Villa Nova as to finally polonize and remain with Wilanów. An incipient building was a modest manor, in which the king rested from the uproar of the capital. However the successes of the monarch led to an extension of the residence, which lasted until the death of the king in 1696. 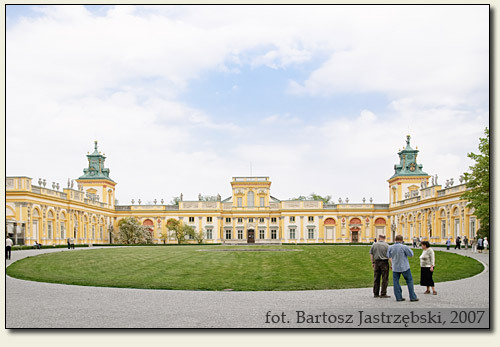 The palace was inherited by the king’s sons, who sold it in 1720 to one of the then richest Poles – Elżbieta Sieniawska. She continued an extension of the mansion acc. to the plans of Jan III Sobieski. The successive owners of the palace were the Czartoryski, Lubomirski, Potocki and Branicki families. In the Potocki family’s reign, on the 5th of August in 1805, in the walls of the palace one of the first museums in Poland was opened, which originally ensured a free admission to everyone, on which informed an inscription on the floor ("Cunctis patet ingressus"). Unfortunately, that noble idea did not survive till today. Currently for an entry to the National Museum Department in Warsaw, which took charge of the palace in 1945, you must pay. 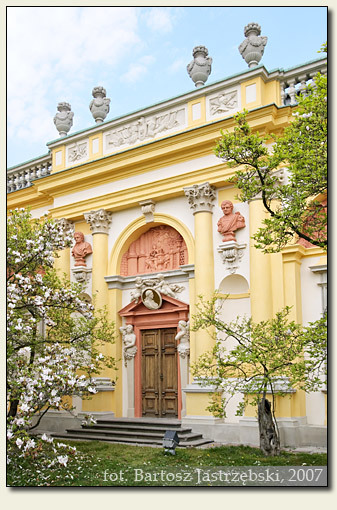 The only consolation is the fact that the mansion in Wilanów is a genuine monument for it has survived the World War II without a scratch.